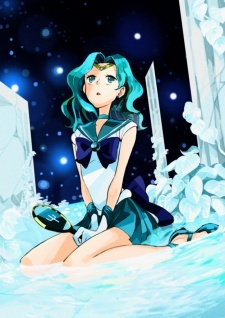 No, my name is not Michiru (from the Sailor Moon series) but we do share the same birthday! So I'm quite happy about that! Hey, I saw you finished seeing Saikano, did you like it?, what do you think about it? She stopped her mangaka career because she was hospitalized for a long time. After she went out, they interviewed her a couple of times about continuing Nana, and she made no confirmation about doing it. Nana Osaki is a goddess! She's easily a top contender for my all-time favorite female anime protagonist. Her charisma, voice, and just about every of her features are irresistible. Never could I find anyone like her again after finishing Nana. Ayashi no Ceres was good. My favorite genres are romance, comedy, adventure, fantasy, historical, and action. A couple of my favorite anime are Fushigi Yuugi and School Rumble. May I ask why you decided to be friends with me? I'm just curious.